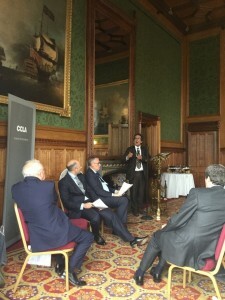 On behalf of Lord Griffiths of Fforestfach and Michael Quicke OBE, Chief Executive of CCLA Investment Management Limited, CEME held an event on the 16th of July 2015 that focused on The challenge of social welfare: Thinking through the principles. We would probably all agree that poverty is scar upon humanity. 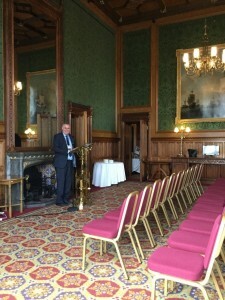 However, that is where agreement often ends and much debate ensures over both cause and solution. As well as diverse policy prescriptions there is debate also over the role of the state and the voluntary sector. 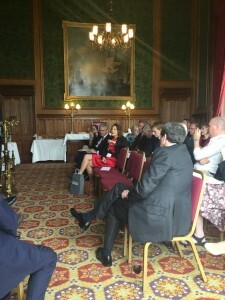 The event brought together a range of voluntary sector leaders, think-tanks, politicians and policy makers as well as interested business and investment professionals to debate, not so much the policies, as the principles. 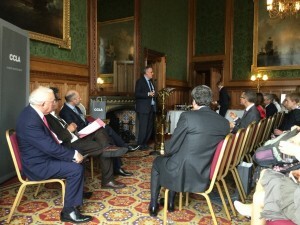 Three speakers introduced the discussion, Lord Griffiths, a former Head of the Policy Unit at 10 Downing Street and a Conservative Peer, James Perry, the Chairman of Cook Food and on the Board of the Access Foundation, and Lord Glasman, a leading social thinker and Labour Peer.